Omaha music legend Dereck Higgins plays in at least a half-dozen bands (my favorite among them being the prog-jazz outfit Chemicals), so how does he have time to also put out solo material? Yesterday, Higgins released his latest, the soundtrack to filmmaker Jim Fields’ yet-to-be-released movie, Life After Ex, the follow-up to his previous film, 2013’s Flyover Country, which Higgins also created a soundtrack for. Higgins said the songs were written for the film this past spring. “I have yet to see the final cut with my music and am looking forward to the premier Oct. 11 at Ak Sar Ben Cinema,” he said. Check out the new tracks and order your copy at Higgins’ Bandcamp page. 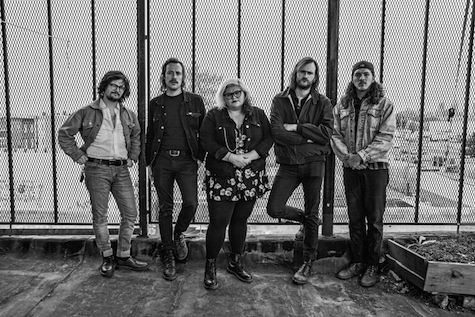 Sheer Mag plays tonight at Reverb Lounge. I’ve been listening to this new Sheer Mag album, Need to Feel Your Love (2017, Wilsuns RC), for a couple months (man, I need to do more album reviews). It kind of reminds me of an old band from 2005 called The Ark combined with Butch Walker along with modern garage rock but fronted by a firecracker of a lead singer in Tina Halladay, whose pouty growl is unforgettable. The music is indie, but on a certain level, their sound is commercial, and very appealing. I was surprised when Rolling Stone did a big feature on them in July. As such, I wouldn’t be surprised if their gig tonight at Reverb sells out. Especially considering BIB is opening, along with Laffing Gas. $12, 9 p.m.